The Animated Cube Infographic PowerPoint Template is a presentation of 3D shapes creating a triangle. This can portray several meaningful concepts such as, building block for process, a learning ladder or growth and development. 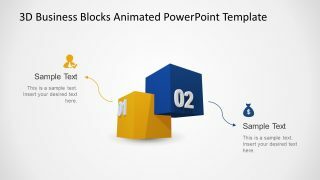 This animated PowerPoint is a 3 cube slide to display 3 step diagram. The cube boxes are the useful presentation design to graphically display a textual information relevant to project. More importantly, the animations given in the template assists the user to impress the audience with an outstanding presentation. 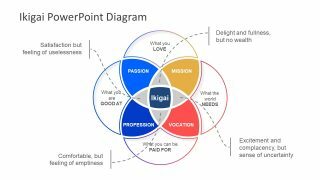 This 3D pyramid of 3 segments is helpful in demonstrating analysis and reports in PowerPoint. As the three dimensional diagrams aid to make the content visually stand out. Therefore, the cube infographic PowerPoint is usable in business plans, strategy plans and defining theories. 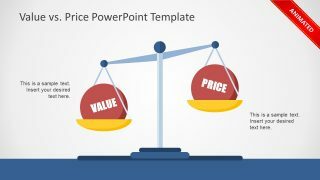 The professional design of Animated Cube Infographic PowerPoint Template is usable in every industry including the academic and non profit. The animations give a simple and modern look which makes the template powerful to present any topic. 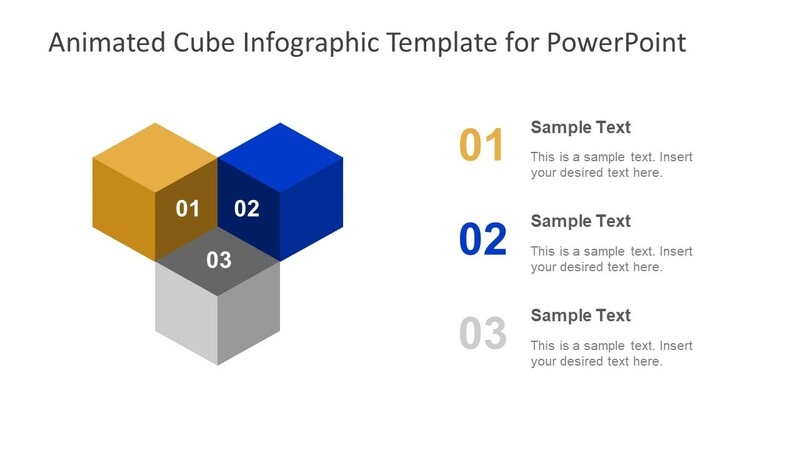 The three color cubes in this infographic PowerPoint have bold numbers, representing each stage. Although, these numbers are interchangeable in editable PowerPoint template. The colors of these cubes are also changeable from the shape fill drop down menu in drawing format. Further, the two contents layout design has the text placeholders to add information about each 3D cube segment. The presentation also enables users to replace number with infographic icons for higher visual impact. 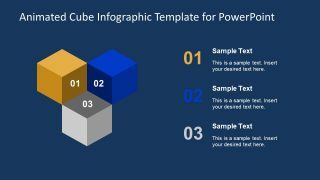 The infographic PowerPoint of animated cube template is an attractive three-dimensional diagram. 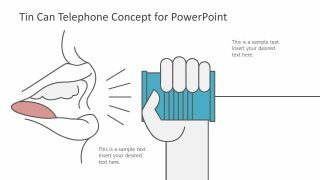 This enables the professionals to create a stunning presentation in no time. The PowerPoint template has two slides of assorting backgrounds. Furthermore, the animations in the infographic cube PowerPoint currently have less than one second duration. The presenter can modify this in animation menu by increasing or decreasing duration and delays. Similarly, use the trigger option to for animation on mouse click.